Uganda is home to a silent crisis. You won’t read many headlines about the refugee mother forced to trudge down dirt paths for a week with her child clinging to her back. But every day, tired and sick refugees pour across Uganda’s borders, their lives uprooted by spurts of raging violence back home. In this unstable environment, swift action must meet urgent needs. In Uganda, amid the silent refugee crisis, the United Nations called upon Medical Teams International to stamp out one the world’s deadliest and most resilient diseases. Cholera was quickly spreading among the newly arrived refugees. Andrew Hoskins, Medical Teams International’s Country Director for Uganda, hadn’t even eaten breakfast when he received an urgent call from the UN’s refugee agency earlier in the year. Health conditions in western Uganda had deteriorated because of the overwhelming number of refugees crossing the border from the Democratic Republic of the Congo (DRC). Hundreds of newly arrived refugees were suffering from severe diarrhea. When the call came in mid-February, nearly 42,000 Congolese refugees had crossed the border into Uganda since the beginning of the year, creating a new crisis in the country’s western border districts. “I was out of town and said, ‘Let me make a few calls and get back to you,’” Hoskins recalled of his brief conversation with the UN. 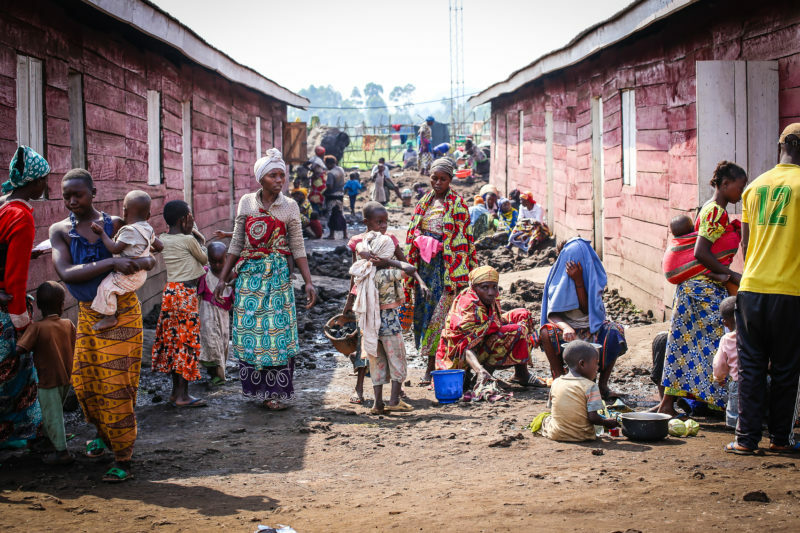 By 8 a.m., Hoskins had mobilized a team of 11 health workers to drive five hours to the Kyangwali Settlement on the shores of Lake Albert, where thousands of refugees from the DRC were coming to shore. The Medical Teams group arrived that evening and immediately went to work, using flashlights as they set up their operation, quickly moving vehicles, medicines, generators and equipment. Medical Teams staff performed health screenings and found safe drinking water. Along with partners, we helped train 156 community health workers to support the response. An innovative new tool was used to monitor the case load. Clinic workers used a mobile app called the Health Information Program (HIP) to quickly and accurately report the rising tide of refugees showing signs of cholera. Developed by Cambia Health Solutions for Medical Teams International, the app stores data in the digital cloud. In lieu of paper reporting tools, it saved clinic staff time and much-needed resources. Less than a week after the outbreak, the breadth of the crisis came into focus. Before Medical Teams arrived, there had been at least 1,000 cases of cholera in the district in one week, including 28 deaths, according to the UN’s refugee agency. The number of deaths was two times the UN’s acceptable threshold, signifying that the crisis could deteriorate further without quick action. Just a couple of days later the number of deaths dropped to zero. “We were only able to do this because of our highly trained staff who had been put on stand-by and were ready to move in immediately,” Hoskins said. The response had quashed the spread of cholera, one of the fastest-moving and deadliest infectious diseases among deeply vulnerable groups. Each year, cholera infects between 3 and 5 million people worldwide. “In an event like this, where there’s no (existing) infrastructure or support, a disease like cholera is a huge health risk for the refugees, the local community, and the entire country,” Hoskins said. In cramped living conditions, cholera can spread quickly. Controlling the spread of cholera has been just one of Medical Teams’ recent efforts to protect the growing number of Congolese refugees. In the days leading up to Christmas, the UN first called Medical Teams to request that we bring our expertise to treat the influx of refugees. Doctors and nurses worked tirelessly through the holidays to serve families who had lost everything back home. Medical Teams International provides medical and nutrition screening to new arrivals in southwestern Uganda and has expanded into two new settlements. At these new settlements, Medical Teams supports two cholera treatment units and two clinics. You, our faithful donors, make this work possible. Since the end of 2017, refugees from the Democratic Republic of the Congo have spilled across the Ugandan border, displaced by a surge in violent conflict and tensions. You’re providing loving health care to those who are displaced.